Falvey Memorial Library :: Now in proofreading: What’s Your Hurry? Now in proofreading: What’s Your Hurry? Following the recent completion of our Atchoo! 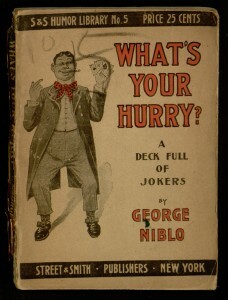 project, we have unveiled another example of George Niblo’s vaudeville comedy for proofreading. This time, the title is What’s Your Hurry? A Deck Full of Jokers. 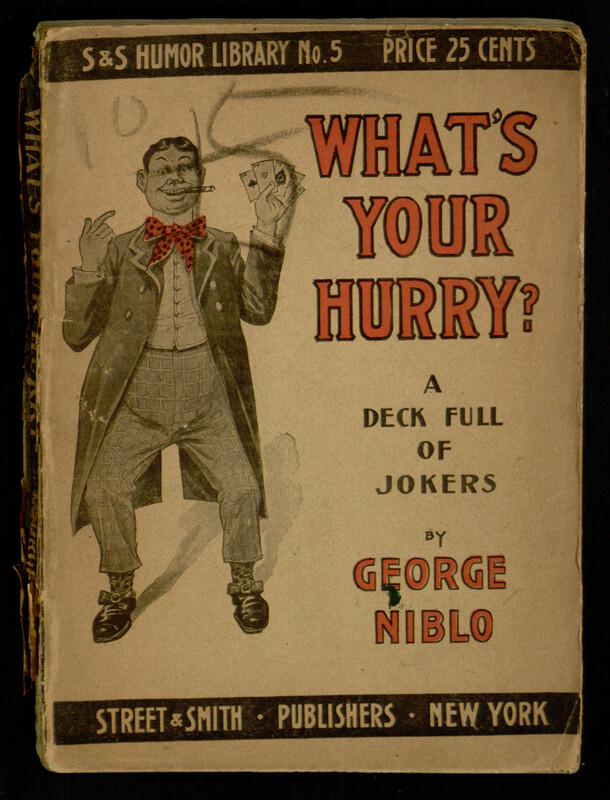 As with past examples from the Street & Smith Humor Library, this book gives a glimpse of comedic tastes from over a century ago, and sometimes they aren’t pretty — be prepared for some offensive stereotypes in between the puns. If you aren’t put off by the subject matter or the hard to read decorative font, you can help with the proofreading efforts at the project page. To learn more about our proofreading efforts, see this earlier post.